PHOTOS: Sister Derby rekindles old flame with Sulley Muntari's younger brother? 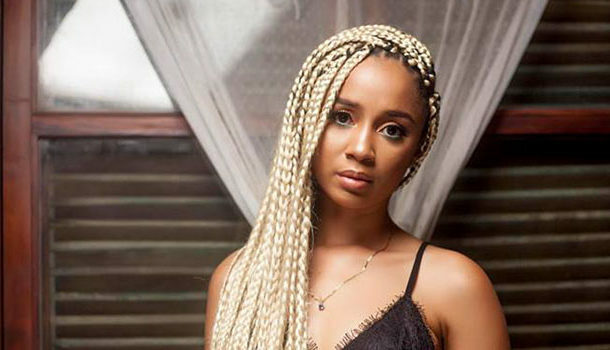 Deborah Vanessa Owusu Bonsu widely known as Sister Derby has been known for dating celebrities but one relationship she has been able to keep away from the preying eyes of the public is with the youngest brother of Ghanaian footballer, Sulley Muntari. The 34 year old singer whose 2 year old relationship with rapper Medikal hit the rocks late last year seem to have gone back to her former lover, Sulley Ali Muniru who plies his trade with Turkish Super League side, Yeni Malatyaspor. The 'Kakalika love' hitmaker dated Muniru who is also a professional footballer few years before she hooked up with Medikal. According to sources close to Ghanaguardian.com, Sister Derby frequently visited Muniru in Romania where he played with Romanian top flight team, CFR Cluj and later FC Steaua București. The two split later in the year and Derby began dating Medikal, a relationship she made very public. However, Derby and Muniru seem to have rekindled their love as checks on her Instagram page shows Derby wearing a customized jersey belonging to the 26 year old's current team sparking speculations that they may have gotten back together.